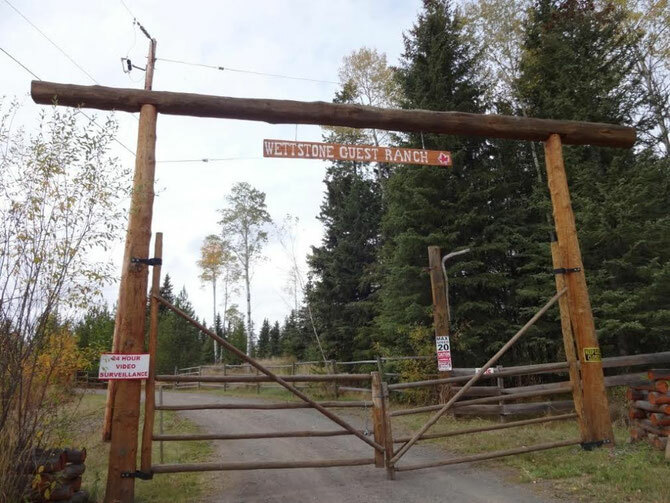 Nestled in the Interlakes Area in the South Cariboo, of British Columbia, Canada, the Wettstone Guest Ranch is close to an array of outdoor activities, yet far from the crowds of Jasper or Banff. Here you will experience the Wild West in the truest sense of the word. Just want to get away from the hustle and bustle of everyday life? We're privileged to be right on the shores of Henley Lake. Kick off your boots and sit back and take in the best that nature can offer. Explore the lake in a canoe or kayak. Take a refreshing dip after a trail ride in the adjacent Crown Lands. Join us for our weekly Grill Night to get to know your neighbours. Read that book you've never had time for. Cook up a steak on an open fire, spin a tale and listen to the loons. 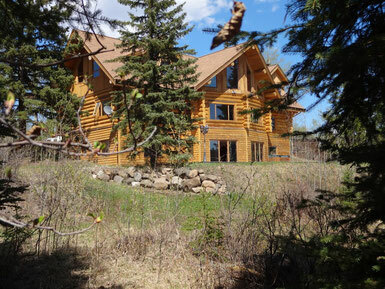 At the Main Lodge, there's the Rec Room with all it has to offer. Breakfast in the morning if desired, a library, big screen tv with a varied selection of DVD's, board and card games, or just a place to relax either inside or on the big terrace overlooking the lake. 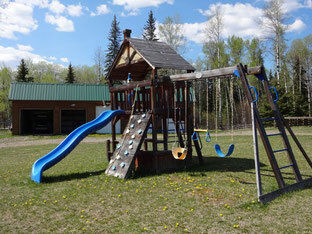 There's ping pong, badminton, boccia ball, and an adventure playground for the kids. A large fire pit with grill is at your disposal, except on Thursday Grill Nights when Martin, our grill meister, won't let you near it! There are picnic tables undercover closeby, so no one is going to rain on your parade! There are all sorts of excursions you can do in the area. Ask us! We'll be happy to help you fill your days with all kinds of activities. We offer self-catering packages in the housekeeping units of the Lakeview Chalet, the RV sites or if you rent the entire Rustic Ranch House unit with it's 3 bedrooms. Bed & Breakfast is available for the Trapper's Cabin, individual rental of the Rustic Ranch House bedrooms, or the deluxe Main Lodge Bedroom adjacent to the Breakfast and Rec Room..
We haven't forgotten our horse friends either. Bring your own horse for Bed, Bale & Breakfast. Come alone. Come with your family. Come with friends. 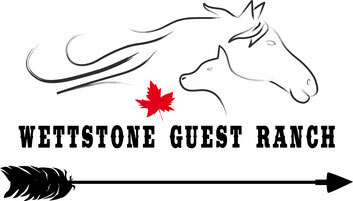 All are welcome at the Wettstone Guest Ranch! And of course dogs are welcome!